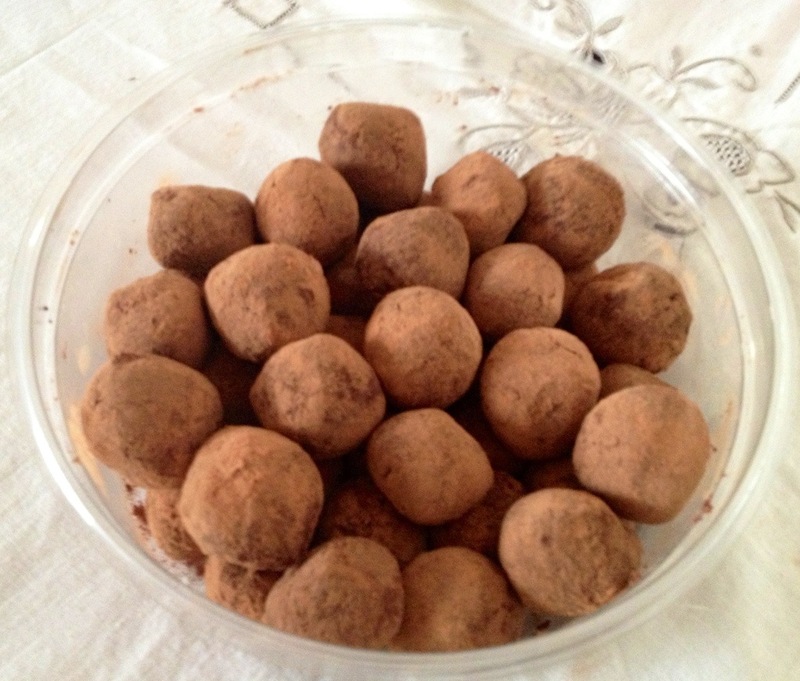 The road to these truffles involved several detours, but I’m very happy with where we ended up!! Enter Detour #1: I didn’t have any candied ginger, couldn’t find any at the store, and the recipe I found to make my own would take a day. So I decided to use ginger juice and crush up some blood orange candies to sprinkle in. – Heat 1 c heavy cream on high until it starts to steam. 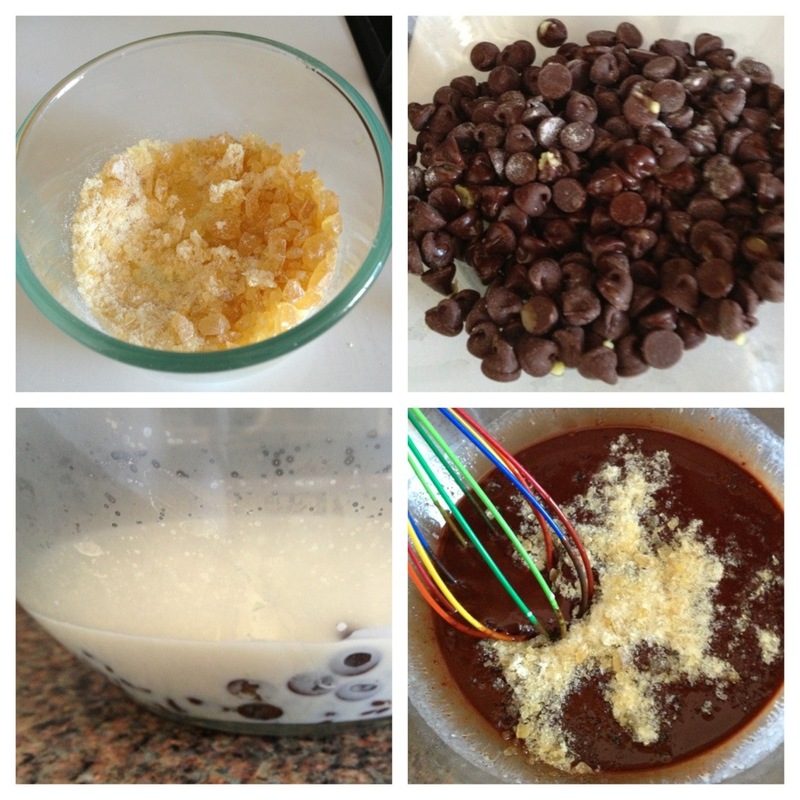 – Add the hot cream to 1 c semi/bitter-sweet chocolate chips and 1/4 tsp salt (and the juice from about an inch of grated ginger). Let it sit for a minute, and then whisk until smooth. – Stir in the crushed orange candies (or whatever else you decide to put in). I crushed about 9 candies that were probably the size of 3D nickels. – Put the whole thing in the refrigerator for 2 hours until it hardens. What to do to salvage it?? – I tried putting it in the freezer for 15 minutes (I really couldn’t wait much longer as time was of the essence). – I tried coating almonds in the chocolate goop and rolling them in cocoa – this kind of worked, but they were still gooey and soft, and I wasn’t sure how they’d stand up to being on a table for several hours. – I tried a test batch, mixing some of it with unsweetened coconut to sort of soak up the moisture – Eureka! That totally worked. 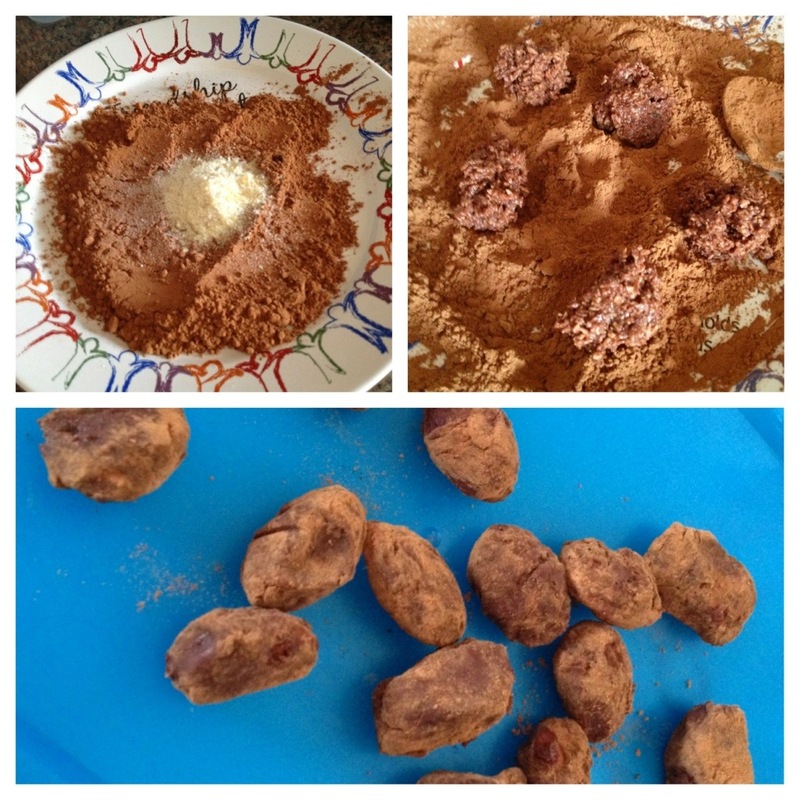 I added enough coconut that they easily made balls on their own and I could just roll them in cocoa and they were stable and good to go. Side note: I crushed up more orange candies and added them to the cocoa. Not sure how much difference that made, but it couldn’t have hurt!! 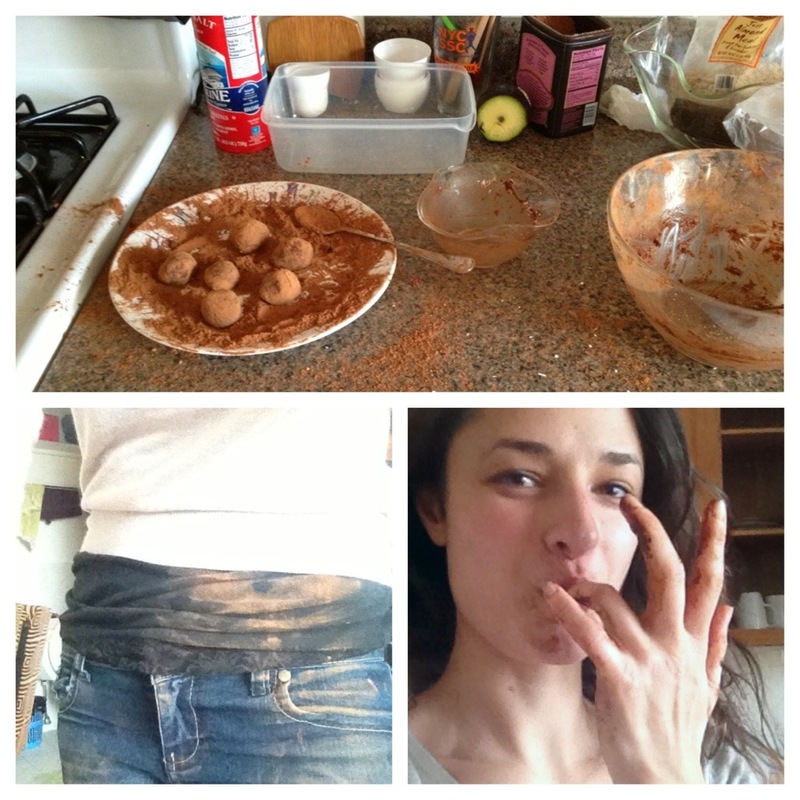 Enter Detour #3: I didn’t actually have enough coconut to “soak up” all the chocolate I’d made – F! I knew I should have done it in batches just to be sure. And for the record, I probably had 3 cups of coconut, which you would think would be enough. It didn’t need that much more, so I ended up just adding in some almond meal. That worked fine, and you couldn’t even tell at the end. 1) So good!! They hung together all night without issue, you could taste the ginger and the orange (although both could have been stronger for my taste), and even people who said they didn’t like coconut said they liked these! 2) A disastrous kitchen, and a new understanding for why people wear aprons!